Check out 150 years of Excellence in Truth & Service! Get a recap of one of our sponsored events. Read about our continuing legacy in the Howard Magazine. As we reflect on our storied past, we're planning for the future. 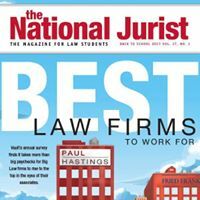 In 2012, the Howard University School of Law was ranked by the National Jurist magazine as one of the top 20 schools in the nation for producing public service graduates. Your participation will help ensure that the Sesquicentennial celebration is memorable and successful! Be the life of the party! We're looking for friends and organizations to host official Howard Sesquicentennial events. Learn more about Howard University history. A new fact each day. This year Howard University will celebrate its annual homecoming with students, faculty, staff, community members and alumni from around the world. The “Policing Inside-Out: Building Trust Through Transformative Education” experiential learning model, which includes law enforcement and the Washington, D.C. When Andrew Long graduates from Howard University on May 14, he will have accomplished a major win as a screenwriter. Long, who will graduate from the Cathy Hughes School of Communications with a Bachelor of Arts in media, journalism and film. Your gift helps to ensure the success of our institution and students during this 150th year!